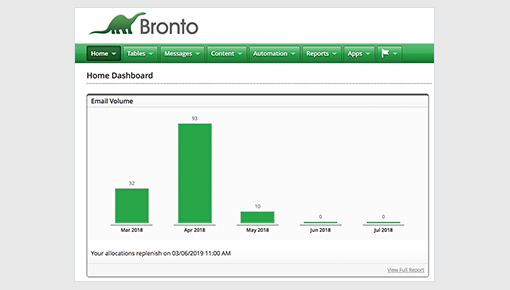 Whether you’re looking to enrich your email campaigns with personalized content or send trigger emails to bring consumers back to your site, the Bronto integration has you covered. 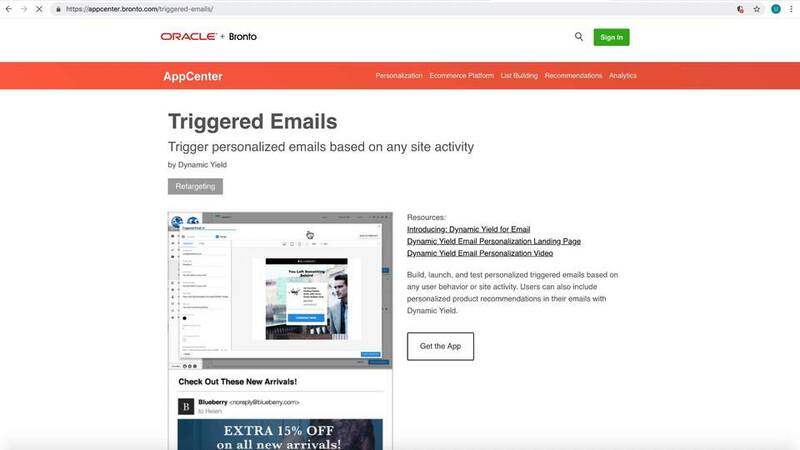 If Bronto is your primary email marketing platform, this integration allows you to use out-of-the-box code snippets to incorporate personalized email content and product recommendations into your email campaigns. This integration also give you the ability to send personalized, trigger emails to re-capture the attention of site abandoners to encourage them to return to your site. Deploy triggered emails for cart abandoners with personalized product recommendations and messaging to encourage users back to your site. Incorporate personalized product recommendations to users with specific affinities, such as new sneakers to shoe enthusiasts.